A Ruger Scout Rifle In 5.56 NATO? 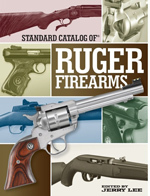 Ruger’s American Rifle has made a lot of waves since it was introduced in 2012. For good reason, few firearms boast the performance of the bolt-action line for its price tag. The American Rifle’s popularity has been no more evident than this year with Ruger kicking open the floodgates on the line. The New Hampshire/Arizona gun maker has introduced 11 new models of the rifle, one to accommodate nearly every stripe of shooter. Among the new offerings is one tailored for those who live to chase coyotes, prairie dogs and other varmints – American Rifle Predator. This is exactly the model Jeff Quinn of Gun Blast goes over in the above video. Perhaps the most interesting aspect of Quinn’s look at the Predator model is its interaction with a suppressor. Near the end of the video, he slaps a Tactical Solutions “Karma” Suppressor on the .223/5.56 NATO rifle with impressive results. First, Quinn demonstrates how easy it is to add a suppressor to pre-threaded rifles that are becoming increasingly common. Second, and more importantly, he shows how much the Predator’s report can be deadened – which is considerably in this caliber. Watch the entire video, because Quinn gives a fairly in depth look at the features common across the American Rifle line and Predator model in particular. He also shows the $489 MSRP rifle is certainly accurate, drilling a 5/8-inch five-shot group at 100 yards.